Photo Credit: Image courtesy of the Robert D. Farber University Archives and Special Collections Department, Brandeis University. 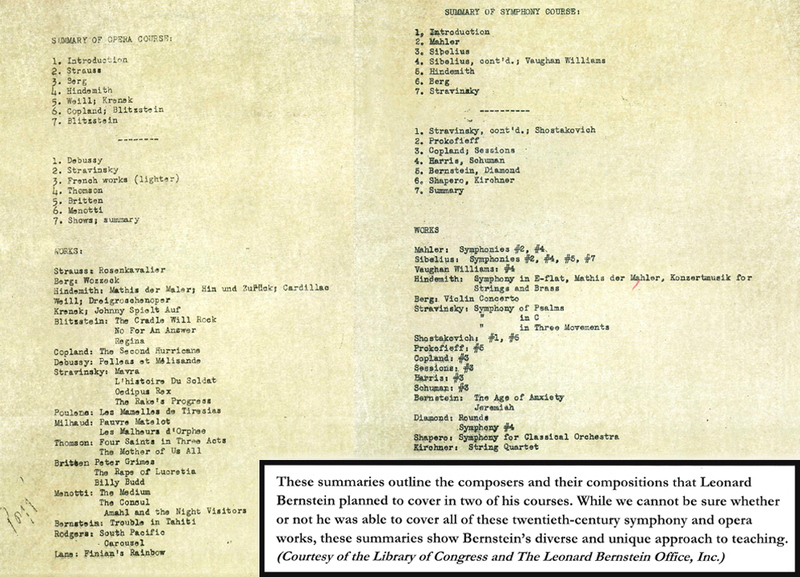 Responding to a personal invitation from President Abram Sachar, Leonard Bernstein agreed to serve on the faculty of the Music Department beginning in the spring of 1951. 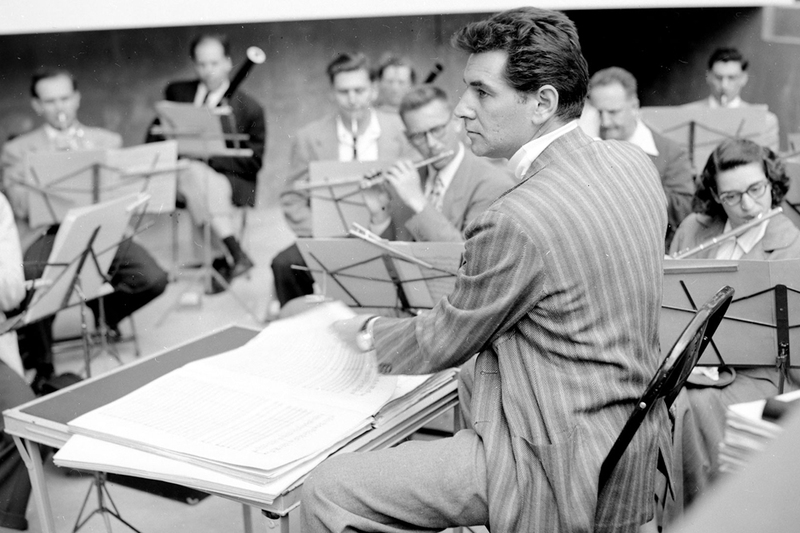 From 1951 – 1956, Leonard Bernstein offered courses on modern music, symphony, opera and composition. Bernstein would “fly” into Ford Hall, throw off his coat, sit down at the piano and proceed to play and lecture to 100 plus students who crowded into the hall. In 1952, he initiated the Festival of the Creative Arts. In 1961, he established a tuition scholarship in his name. Learn more about "What Bernstein Taught Brandeis" and how Brandeis is celebrating the centennial birthday of Leonard Bernstein, an acclaimed American composer and conductor, a Brandeis faculty member, and a supporter of the University from its earliest days.